Native American names are very interesting as names for new babies because they have so much meaning behind them. Rooted in forces of nature, religion and personally desired characteristics, they translate into poetic epithets. They are meant to herald great events and are to be celebrated, as these aptly named babies are welcomed into the tribe. There is no need to email and ask for more information. ABORNAZINE: Abnaki: "keeper of the flame"
ACHAK, ACHACHAK: Algonquin: " spirit." ADAHY: Cherokee: " lives in the woods." ADOEETE: Kiowa: "great tree; great chief"
AHANU: Algonquin: " he laughs." AHIGA: Navajo: " he fights." AHOTE: Hopi: " restless one." AHTUNOWHIHO: Cheyenne: " one who lives below." AHUSAKA: Winnebago: "word for wings"
ALAHMOOT: Nez perce: "anelm branch"
ALO: Hopi: " spiritual guide; he looks up"
ANGVARIATIONU TOKE: Sioux: "another day"
APASH WYAKAIKT: Nez Perce: "flint necklace"
APONIVI: Hopi: " where the wind blows down the gap." ARAPOOSH: Crow: "stomach ache, sour stomach"
ARRE-CATTE WAHO: Omaha: "large elk"
ASHKII DIGHIN: Navajo: "sacred child"
ASKUWHETEAU: Algonquin: " he keeps watch." ATA'HALNE': Navajo: " he interrupts." AVONACO: Cheyenne: " lean bear." AYAWAMAT: Hopi: " one who follows orders." BAGWUNAGIJIK: Chippewa: "hole in the sky"
BEMIDII: Ojibwa: "river by a lake"
BIDZIIL: Navajo: " he is strong." BILAGAANA: Navajo: " white person." BORNBAZINE: Abnaki: "keeper of the flame"
BUEGONEGUIG: Chippewa: "hole in the sky"
CAMEAHWAIT: Shoshone: "He who never walks"
CASHESEGRA: Osage: "tracks of a large animal"
CHA'AKMONGWI: Hopi: " crier chief." CHA'TIMA: Hopi: " the caller." CHANKOOWASHTAY: Sioux: " good road." CHAPOWITS: Nez Perce: "Many Coyotes"
CHASKA: Sioux: "first son born, eldest son"
CHAVATANGAKWUNUA: Hopi: " short rainbow." CHEBONA BULA: Creek: "laughing boy"
CHEVEYO: Hopi: " spirit warrior." CHOCHMO: Hopi: " mud mound." CHOCHOKPI: Hopi: " throne for the clouds." CHOCHUSCHUVIO: Hopi: " white-tailed deer." CHOVIOHOYA: Hopi: " young deer." CHOWILAWU: Hopi: " joined together by water." CHUCHIP: Hopi: " deer spirit." CHUSLUM MOXMOX: Nez Perce: "yellow bull"
CIQALA: Dakota: " little one." DAKOTA: Sioux: "allies or friends"
DEGANAWIDAH: Iroquois: "two rivers running"
DOHOSAN: Kiowa: "little bluff; bluff"
DONEHOGAWA: Seneca: "He who guards the gate of sunset"
DUSTU: Cherokee name. "spring frog"
EALAOT WADASS: Nez Perce: "earth"
EALAOTHEK KAUNIS: Nez Perce: "birds landing"
EAPALEKTHILOOM: Nez Perce: "mound of clouds"
ELASKOLATAT: Nez Perce: "animal running"
ELKI: Miwok name. "hanging over the top"
ELUWILUSSIT: Algonquin: " holy one." ENAPAY: Sioux: " brave; appears bravely"
ENKOODABOOAOO, ENKOODABAOO: Algonquin: " one who lives alone"
ENYETO: "walks as a boar"
ESPOWYES: Nez Perce: "light on the mountain"
ETCHEMIN: Algonquin: " canoe man." EYANOSA: Sioux: "big both ways, tall or big"
GAD: Navajo: " juniper tree." GAWONII: Cherokee: "He is speaking"
HAHKETHOMEMAH, HARKAHOME: Cheyenne: " little robe." HANIA: Hopi: " spirit warrior." HAWIOVI: Hopi: " going down the ladder." HEAMMAWIHIO: Cheyenne: " wise one above." HELAKU: "full of sun; sunny day"
HELKI: Miwok: " touch; to touch"
HESKOVIZENAKO: Cheyenne: " porcupine bear." HESUTU: Miwok: " yellow jacket nest rising out of the ground; yellow jacket's nest rising from the ground"
HEVATANEO: Cheyenne: " hairy rope." HIAMOVI: Cheyenne: " high chief." HOHNIHOHKAIYOHOS, NEEHEEOEEWOOTIS: Cheyenne: " high-backed wolf." HONOVI: Hopi: "strong; strong deer"
HOTOTO: Hopi: " warrior spirit who sings; he who whistles"
HOTUAEKHAASHTAIT: Cheyenne: " tall bull." HOWAHKAN: Sioux: " of the mysterious voice; the mysterious voice." IINIWA: Blackfoot: "bison or buffalo"
ISTAQA: Hopi: " coyote man." JOLON: "valley of the dead oaks"
KACHADA: Hopi: " white man." 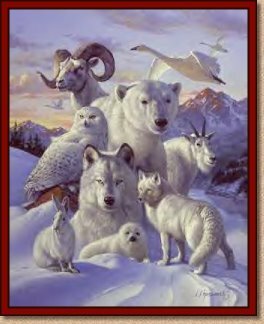 KANGEE: Sioux: " raven; crow"
KEME: Algonquin: " secret; thunder"
KOHKAHYCUMEST: Cheyenne: " white crow or white antelope." 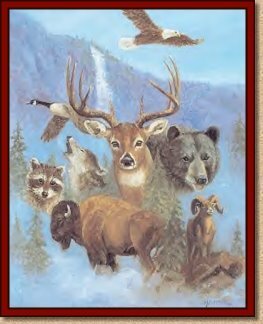 KOSHISIGRE: Osage: "tracks of a large animal"
KOSUMI: Miwok: " fishes for salmon with spear; spear fisher"
KOTORI: Hopi: " screech owl spirit." KUCKUNNIWI: Cheyenne: " little wolf." KWATOKO: Hopi: " bird with big beak." LAPU: Hopi: " cedar bark." LEN; LENA: Hopi: " flute." LEYATI: Miwok: " shaped like an abalone shell." LISE: Miwok: " salmon head rising above water." LIWANU: Miwok: " growl of a bear; growling bear"
LOKNI: Miwok: " rain falls through the roof." MACHAKW: Hopi: " horny toad." MAKKAPITEW: Algonquin: " he has large teeth." MAKYA: Hopi: " eagle hunter." MANTOTOHPA: Cheyenne: " four bears." MASICHUVIO: Hopi: " gray deer." MATCHITEHEW: Algonquin: " he has an evil heart." MATCHITISIW: Algonquin: " he has bad character." MATOSKAH: Sioux: " white bear." MAZA BLASKA: Dakota: " flat iron." MEGEDAGIK: Algonquin: " kills many." METURATO, MOKATAVATAH, MOKETAVATO, MOKETAVETO, MOKETOVETO, MOKOVAOTO, MOTAVATO: Cheyenne: " black kettle." MISU: Miwok: " rippling brook; rippling water"
MOCHNI: Hopi: " talking bird." MOLIMO: Miwok: " bear walking into shade." MONA: Miwok: " gathers jimson weed seed." MUATA: Miwok: " yellow jackets inside a nest." NAALNISH: Navajo: " he works." NAALYEHE YA SIDAHI: Navajo: " trader." NAHCOMENCE: Cheyenne: " old bark." NAHIOSSI: Cheyenne: " has three fingers." NAMID or NAMIDA: Chippewa: "Star Dancer"
NAPAYSHNI: Sioux: " strong, courageous"
NASTAS: Navajo: " curve like foxtail grass." NEEHEEOEEWOOTIS: Cheyenne: "high backed wolf"
NOSH, NOSHI: Algonquin: " father." OCUMWHOWURST, OCUNNOWHURST: Cheyenne: " yellow wolf." ODAKOTA: Sioux: " friend; friendship"
OGALEESHA: Sioux: " wears a red shirt." OHCUMGACHE, OKHMHAKA: Cheyenne: " little wolf." OMAWNAKW: Hopi: " cloud feather." OPECHANCANOUGH: Algonquin: "he whose soul is white"
OSCEOLA: Seminole: "black drink; black drink crier"
OTAKTAY: Sioux: " kills many." OTETIANI: Iroquois: "he is prepared"
OTOAHHASTIS: Cheyenne: " tall bull." OTOAHNACTO: Cheyenne: " bull bear." OTSKAI: Nez Perce: "Going Out"
PACHU'A: Hopi: " feathered water snake." PAHANA: Hopi: " lost white brother." PANNOOWAU: Algonquin: " he lies." PAYAT, PAY, PAYATT: "he is coming"
PETA: Black Foot: "Golden eagle"
PITALESHARO: Pawnee: "chief of men"
POWWAW, POWWOW: Algonquin: " priest." QALETAQA: Hopi: " guardian of the people." QOCHATA: Hopi: " white man." SAHKONTEIC: Nez Perce: "white eagle"
SAMOSET: Algonquian: "he walks over much"
SANI: Navajo: " the old one." SEWATI: Miwok: " curved bear claw." SHOEMOWETOCHAWCAWEWAHCATOWE: Cheyenne: " high-backed wolf." SIKE: Navajo: " he sits at home." SIKYAHONAW: Hopi: " yellow bear." SIKYATAVO: Hopi: " yellow rabbit." SINTE MAZA: Sioux: "Iron Trail"
SIWILI: "tail of the fox; long tail of the fox"
SOWI'NGWA: Hopi: " black-tailed deer." SOYALA: Hopi: "Time of the winter"
SUNUKKUHKAU: Algonquin: " he crushes." TAHKEOME: Cheyenne: " little robe." TAHMELAPACHME: Cheyenne: " dull knife." TAKODA: Sioux: " friend to everyone." TATANKA-PTECILA: Dakota: " short bull." TATE: "he who talks too much"
TEETONKA: Sioux: " talks too much; big lodge"
TELUTCI, TUKETU: Miwok: " bear making dust." TOCHO: Hopi: " mountain lion." TOHOPKA: Hopi: " wild beast." TOKOTA: Sioux: "Friends to everyone"
TOOANTUH: Cherokee: " spring frog." TOO-YA-LA-KEKT: Nez-Percé: "Thunder arriving on the plain"
TSELA: Navajo: "Stars Lying Down"
TUKETU: Miwok: "bear making dust"
TUM-SE-NE-HO: Spokane: "The Man Who Has No Blood"
TUMU: Miwok: "deer thinking of eating wild onions"
TUPI: Miwok: " to pull up." UZUMATI: Miwok: " bear; grizzly bear"
VAIVEAHTOISH, VAIVE ATOISH: Cheyenne: " alights on the cloud." VIPPONAH: Cheyenne: " slim face." VOHKINNE: Cheyenne: " Roman nose." VOISTITOEVITZ, VOISTTITOEVETZ: Cheyenne: " white cow." VOKIVOCUMMAST: Cheyenne: " white antelope." WAHANASSATTA: Cheyenne: " he who walks with his toes turned outward." WAHCHINTONKA: Sioux: " has much practice." WAMBLEESKA: Sioux: " white eagle." WAMBLI-WASTE: Dakota: " good eagle." WANAGEESKA: Sioux: " white spirit." WANIKIYA, WANIKIY: Sioux: " savior." WAQUINI: Cheyenne: " hook nose." WEAYAYA: Sioux: " setting sun." WIKVAYA: Hopi: " one who brings." WILU: Miwok: "chicken hawk squawking"
WIS KI GETE: Potawatomi: "Rising Smoke"
WOHEHIV: Cheyenne: " dull knife." WOKAIHWOKOMAS: Cheyenne: " white antelope." WUYI: Miwok: "soaring turkey vulture." YISKA: Navajo: "the night has passed." YUMA: "son of a chief; chief's son"
Keep in mind that these names come from various parts of the country and can be derived from different cultures. The spellings and meaning may vary slightly or greatly from region to region - check with your family or other resources if this is important in naming your child. You may also want to explore the "naming" customs of the particular tribe's name that you are using. It is also important that you create your own name (in other words, decide on a meaning and have it translated). Rather than finding a name and then looking up what it means. It will have more meaning than a "stock" name, and, in many tribes, this was the only way naming was done. 2: Be sure it means what the book says it means.